Patricia’s weekends at Opera Australia are very popular as we go to top class operas including the favourites and the innovative. Meeting artists is always a great treat when we hear the story from backstage! Fidelity is tested in an intriguing story set to Mozart’s sublime music. Two men disguise themselves as Albanians and attempt to seduce each other’s lover in an elaborate ruse to win a bet, urged on by the cynical old philosopher Don Alfonso. Acclaimed British director Sir David McVicar sets this bittersweet comedy, “all women are like that”, in the early 1900s. Favourite Australian soprano, Taryn Fiebig, takes the role of the wily maid, Despina. The simple plot of eccentric characters on a voyage to Rheims is an excuse for a string of arias and ensemble pieces performed by top artists and we are thrilled to highlight Teddy Tahu Rhodes, Conal Coad and Emma Pearson. An art gallery filled with masterpieces by Velasquez, van Gogh, Frida Kahlo and others is a surreal world where artworks step out of the frame and come to life. A delightful production from Dutch National Opera and the Royal Danish Theatre. Verdi knew he had a hit on his hands as he rehearsed for the premiere in Venice. The story had everything: royalty, loyalty, love, lust and revenge and the music was sensational. Elijah Moshinsky’s much-loved production returns, complete with its glamorous la dolce vita inspired sets and costumes. It is Verdi at his best in one of the most subtle of tragic operas. An excursion to Coombe takes us to Dame Nellie’s estate where we learn much about this superstar soprano’s life and times. 3 nights hotel accomodation at The Langham Hotel. Easy walking distance to venue. 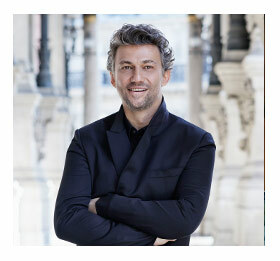 Jonas Kaufmann returns to Sydney in one of his most celebrated roles in this concert performance of an opera set during the French Revolution. It offers the perfect showcase for his “dark, liquid tone, which soars through the music with refined ease and intensity” (The Guardian). A stellar supporting cast includes more top international singers, baritone Ludovic Tézier and Eva-Maria Westbroek as Chénier’s lover, Maddalena. Conducted by Pinchas Steinberg. Graeme Murphy’s arresting new production is a contemporary look at Puccini’s alluring heroine. Murphy draws on his roots in choreography to capture the grace and gravity of a tale that begins in rapturous love and ends in the cruellest heartbreak. Puccini’s sublime music imbues this ageless story with great beauty, from “One fine day” to “the Flower duet” to the intense finale. New Zealand bass, Jud Arthur, and his soprano wife, Taryn Fiebig, both soloists with Opera Australia, invite us to their home for an exclusive evening of beautiful singing. A very special occasion an a new addition to Patricia's opera tours!